The New Year’s Eve celebrations have ended and before us is a new year of new opportunities, new beginnings and new direction. This is the time of year that we find ourselves evaluating the past year and making new plans and resolutions for the coming year. Usually the new plans have something to do with our physical health, financial portfolios or our relationships. We resolve to quit eating so much, to start exercising, to save more money, to spend more time with our children and so on. We are lucky if these resolutions that we make to ourselves last 6 months. 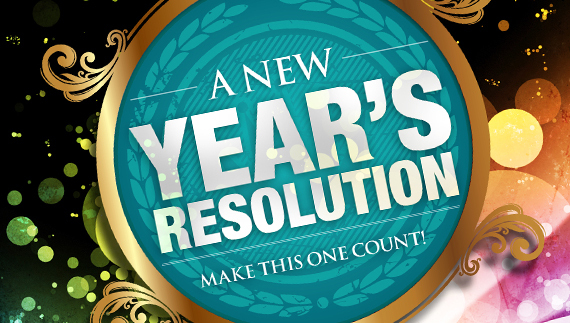 As important as those things are, this year I challenge you to consider making a resolution this year that will really make a difference in your life and that of others – begin a new outreach focused ministry. Not necessarily by yourself, although God may lead you to do so, but through your church. I’ve seen it over and over again – new ministries reach new people. There are unreached people all over the world who need to know the love of Jesus Christ. Some of those unreached people are right outside the doors of our churches. The possibilities for how to reach them is limited only by your imagination and creativity. The Gospel of Christ has been effectively shared through medical clinics for the un-insured, mobile home rehabbing, after-school tutoring for at-risk children, money management courses for families living in poverty, English as a Second Language classes for internationals, job skill training, accountability groups for recovering addicts, etc. I’m excited about the New Year ahead of us and trust you will see the possibilities that exist for sharing Christ through new ministries. Please let us know of ministries you’ve been involved in or heard about. Your comments on this blog may encourage others to try other new ministries in an effort to reach new people. Also let us know if there are ways we can assist you in the development of new ministries in your community. Blog looks great! Article challenging as well! Praying that you all have the open doors to walk with several people doing just this in 2013.